"Scoobie Doo" God bless you! - Rod and Kate for convenient local dog walking. Rod and Kate for convenient local dog walking. Dog Owner Tips and Advice. commented on "IT IS a tale of canine camaraderie that touched the hearts of the vets who treated them. ..."
"Scoobie Doo" God bless you! IT IS a tale of canine camaraderie that touched the hearts of the vets who treated them. Axis the corgi cross and Scoobie the German shepherd had escaped from their owners' home to explore the neighbourhood when Axis was hit by a car. The driver did not stop to provide assistance, leaving Axis seriously injured, unable to move and in the path of traffic. But Scoobie, Axis's best friend of a decade, stayed by his side for hours on the busy road, circling his companion and barking at cars. Eventually, the dogs were picked up by a Fairfield council worker and taken to Wakeley Veterinary Clinic's Ashcroft branch, where Axis was treated for a fractured pelvis and a cut to the leg. The dogs' owner Jason Sellers, 35, said they had escaped after he and wife Rochelle, 28, left their Mount Pritchard house to go shopping. The couple were relieved when the clinic called to say that the dogs had been brought in. Axis was kept for observation for two nights, while Scoobie was so distressed he had to be sent home with medication to calm his nerves. Mr Sellers, a former army officer, adopted Scoobie in 1999 and bought Axis six months later, the two dogs becoming inseparable. The pair have hatched ''four or five'' previous escape plans but their need for adventure has waned with age. 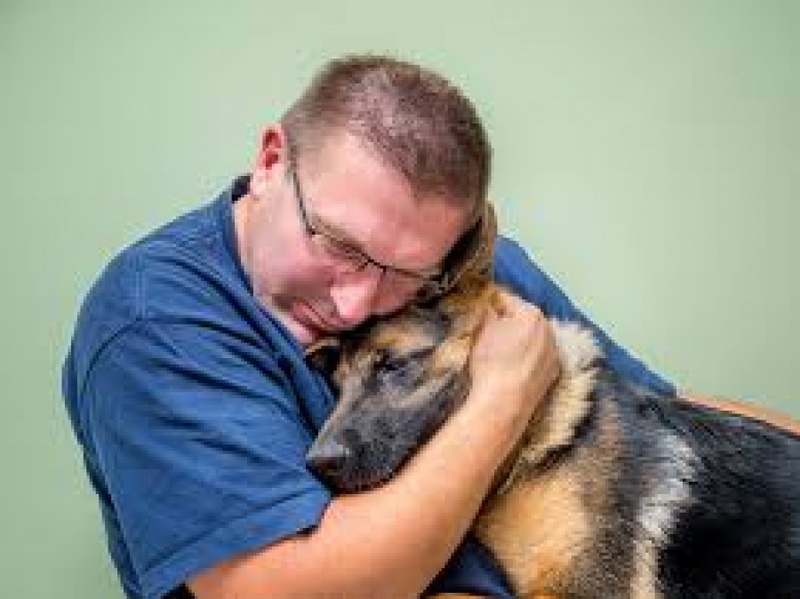 The clinic's senior vet Peter Radvan said although it was not uncommon for dogs to display human-like, altruistic behaviour, he had never seen anything quite like it in his 25-year career. He said Axis's ''extra padding'' may have slowed him on the roads, but worked to his advantage in protecting his organs. ''He's moving on towards old age - it might be a reason why he got hit but that may have come down to his bulk as well.'' Mr Radvan said. Weekends and Public Holidays option is available.